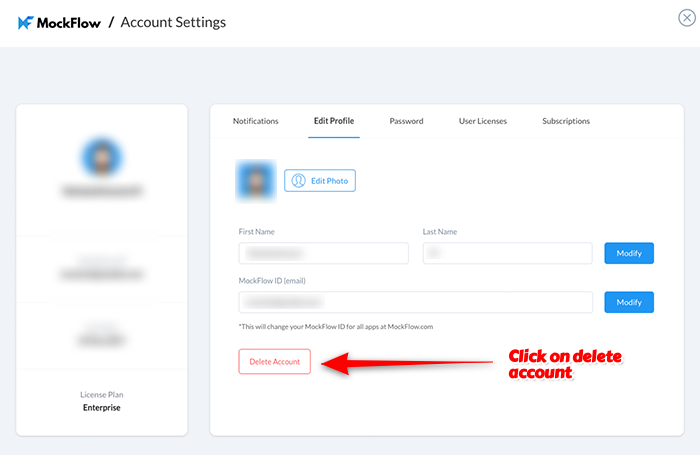 All your data and account details at MockFlow.com can be permanently deleted by logging in and selecting 'My Account'->'Edit Profile'. No questions asked. Note: Users with paid licenses cannot delete their account. They can either delete their account when their subscription expires or by placing a special request via email to mockflow@produle.com.